US/Silver Spring: Kingston Pharma, LLC, a Massena, New York establishment, recalls certain batch/lots of DG/Health Naturals Baby Cough Syrup + Mucus due to suspected risk of Bacillus Cereus / Bacillus Circulans contamination and consequential risk of Gram-negative bacterial infection, severe illness and/or possible life-changing complications, all serious health hazards. Please consult the photograph above for details of the drug’s packaging, design and retail presentation. 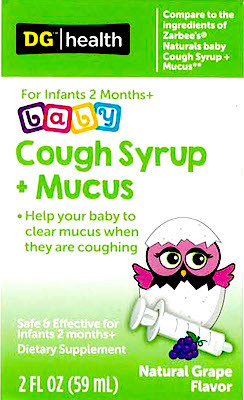 One (1) additional image of the recalled Baby Cough Syrup products can be found on the Web site above. According to the FDA, the potential for contamination was noted after audit testing revealed the presence of Bacillus Cereus / Bacillus Circulans in some bottles of this batch/lot of the Cough Syrup. One (1) in ten (10) bottles showed low levels of Bacillus Cereus and two (2) in ten (10) bottles showed low levels of Bacillus Circulans. If you believe you have purchased or have in your possession any of the recalled drugs, please do not consume them directly nor use them as an ingredient in another dish or preparation. Instead, return the Baby Cough Syrup to the store where you purchased it for a full refund. ==> If you have a medical emergency, please contact 9-1-1, your closest hospital or emergency center equipped to handle bacterial contamination. ==> To see other recalls and notifications caused by contaminated, adulterated or mislabeled Baby Cough Syrup, please search for “cough syrup” or more generically, “drugs” using the Search Box at the top of this page. If you have any questions about this recall, please contact Kingston Pharma, LLC toll-free at 1-844-724-7347 from 8:30 AM to 6:00 PM, Monday to Friday. ==> To see other recalls and notifications caused by suspected Bacillus Cereus contamination, please search for “Cereus” using the Search Box at the top of this page. 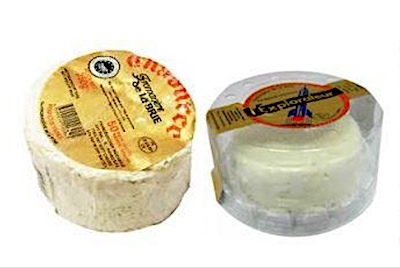 ==> To see other recalls and notifications caused by suspected Bacillus Circulans contamination, please search for “Circulans” using the Search Box at the top of this page. ==> To see other recalls and notifications related to Children or Infants, please search for “child” using the Search Box at the top of this page. ==> To see other recalls and notifications caused by undeclared Wheat, please search for “wheat” using the Search Box at the top of this page. ==> To see other recalls and notifications for products manufactured, marketed and/or sold by Kingston Pharma, LLC,, please search for “Kingston” using the Search Box at the top of this page. ==> To see other recalls and notifications for products manufactured, marketed and/or sold under the DG/Health Naturals brand name, please search for “DG/Health” using the Search Box at the top of this page.